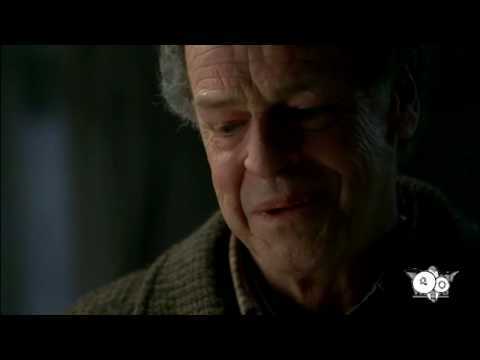 If you don't watch Fringe, I assume you're reading this because you're looking for a reason to. So, let's get to it. If you tried an episode or two but it lost your interest, if you didn't like the procedural style, if you were put off by the move away from the procedural, if you tried jumping in at any random point, if it seemed too disturbing and not engaging enough, or if the ads didn't make it clear why you should care then I'm here to tell you that you have no idea what it would shortly become. I assure you there's a lot more to it than just a clone of The X-Files some insisted it was in the beginning. To me, it never felt in the least like The X-Files. That's like saying House is a clone of ER. They're both medical dramas and there may be similar traumas, but that's where it ends. From mood to personality, story structure to pacing, setting to situations, everything else about them is different, and both can be enjoyed. Wait, that would be giving it away. The driving force of the entire show is a secret for the first season, only hinted at in bits and pieces. Hmm, let me take a different tack. Fringe is about unethical experiments pushing the boundaries of reality. It also manages to be terrific fun and a tad eccentric. Cases tie together in unexpected ways, always relating to the main characters, and involve familiar but improbable and fantastical theories, such as time travel, teleportation, precognition, pyrokinesis, and so much more. Amidst everything, Fringe is firmly grounded in themes of reunion, reconciliation, trust, love, home, and family. There are many moving and memorable stories: the husband who couldn't let his Alzheimer's-stricken wife go (And Those We've Left Behind); the scientist who painfully turned his own body into a time machine (White Tulip); and a would-be serial killer with a positive influence in his life (One Night in October) being just a few terrific examples off the top of my head. And Walter and Peter themselves (Peter) are the scarred, aching heart of the show. Whenever I see the following fan video, created with scenes from that episode, it feels almost like the first time. DO NOT WATCH UNLESS YOU HAVE SEEN SEASON 2 UP TO THIS POINT. It's a huge reveal that the entire series revolves around. I never got into Coldplay, but I adore "Viva la Vida," which works quite well with "Fringe," as do a few other songs of theirs. A group I did obsess over because of "Fringe" was 30 Seconds to Mars. "This is War" was used to great effect in an actual commercial that ran on TV for an episode late in the second season, and I fell for it immediately. Now, I wanted to mention an episode from season 5, but I've already done so a number of times. It would be hard to point to any one, because they are all more tightly intertwined than ever; Joel Wyman crafted the end as a 13-part movie of sorts. I'll just say for now that I've loved the entire series and it grows in my estimation with every finale. This season has been a tremendous achievement in connections, reveals, character development, beauty, and heartbreak. Reviews for the episodes I mentioned. All of these are filled with spoilers, with major ones in "Peter" and "White Tulip."